AmadorSoapbox.com: Foothill Conservancy: It's time to protect the Mokelumne for Good! Foothill Conservancy: It's time to protect the Mokelumne for Good! It's time to protect the Mokelumne for good! 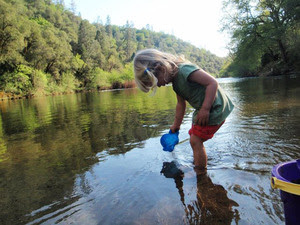 Now's the time to speak up for protecting the Mokelumne River with California Wild and Scenic River designation -- see meetings and other options below. It's time to speak up for the river you love! You still have to speak up for the Mokelumne River and support the conclusions in the California Natural Resources Agency 's draftMokelumne River Wild and Scenic Study Report. 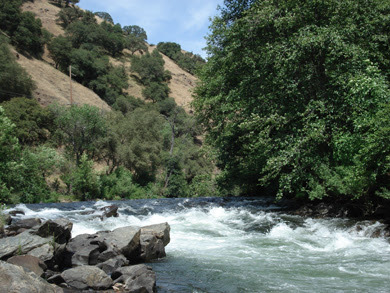 The report recommends addding 37 miles of the Mokelumne to the state’s protected river system. We need your help to make that happen. -- Attend the Upper Mokelumne River Watershed Authority special meeting Friday, February 23. 1:30 pm, McClean Hall, Pardee Center near Valley Springs. -- Speak up at the California Natural Resources Agency's public hearing in Oakland on Monday, February 26 at 6 pm. EBMUD Board Room, 375 11th St, Oakland. If you haveMoke Wild and Scenic gear, be sure to wear it -- t-shirts, cycling jerseys, or buttons. -- Attend the Amador County Board of Supervisors meeting on Tuesday, February 27. 9 am, 800 Court St, Jackson or the Calaveras County Board of Supervisorsmeeting that same day, 9 am, Government Center, San Andreas. -- Attend the East Bay Municipal Utility District board meeting on Tuesday, February 27. 1:15 pm, 375 11th St, Oakland. Be sure to tell the officials you support the findings and recommendations in the study and urge them to protect the Mokelumne River for generations to come. Can't make any of the meetings? Please weigh in on the Calaveras Enterprise online poll. You can also e-mail comments on the study to the CNRA by the March 8, 5 p.m. deadline (pls cccarolyn@foothillconservancy.org) or use and customize our sample online email/letter. Please let the agency know what the Mokelumne River means to you, your family and your community. See the online video of the CNRA public hearing in Mokelumne Hill. The video includes the consultants' presentaiton on the study. For more information about the river or this alert, please contact Foothill Conservancy at 209-223-3508 or send us an e-mail.